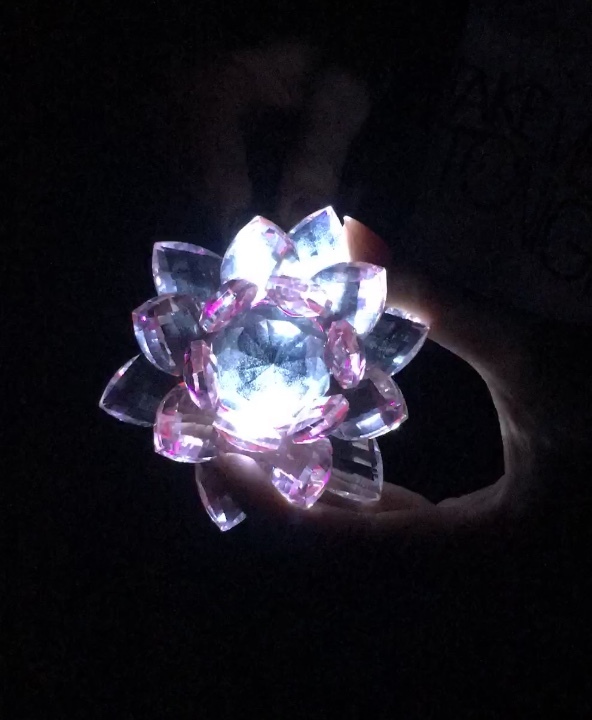 My submission is of an LED light source shining on a pink glass crystal flower, which causes the light to bounce off or reflect because of the shiny glass surface of the crystal. Since there are so many reflective surfaces so close to each other, once the light touches one, it is reflected off of each surface onto the next until you can see light in every glass petal. The crystal also causes the light to bend or refract, which happens when there is a change in the velocity of light. When light travels from air to glass, it slows down, causing it to refract.